VersaFlow Coriolis Mass Flowmeter measures mass flow, density, volume, temperature, mass or volume concentration and solids content with a single device. 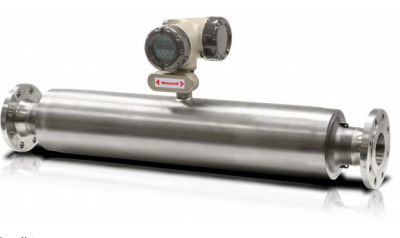 It is a high performance meter designed to meet the requirements of liquids and gas applications with wide operating temperature and Pressure ranges. VersaFlow Coriolis devices are available in straight and bent tube designs with straight measuring tube in Hastelloy, titanium or Stainless steel MOC. It offers a high level of performance together with wide operating temperature and pressure ranges. Liquid as well as gas applications. Do you require a different solution? Please visit the manufacturer's website for more products! Simply fill out the form below and one of our Area Managers will contact you shortly.